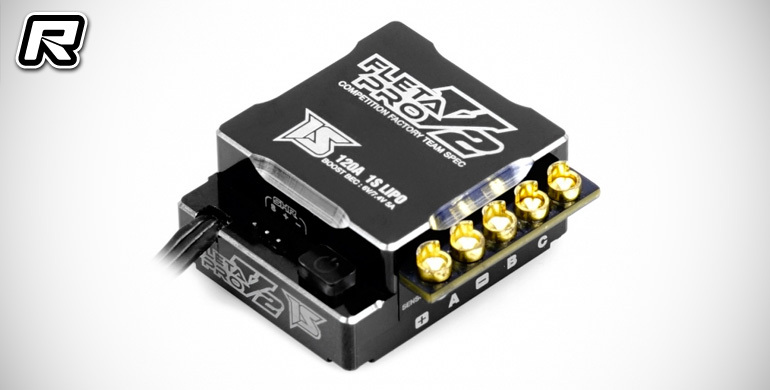 New from Muchmore is their 1S Fleta Pro V2 ESC. As the name suggests this speedo is suitable for use with 1S batteries and therefore aimed at 1/12th scale use. Made using a full aluminium case for better heat dissipation and therefore able to have higher current, its internal switch makes the wiring simpler as it removes the need for an external switch. A very small footprint (30.5 x 36.5 x 16.5mm) allows more options for its placement thus making balancing your car easier.